St. Cecilia, the patron saint of musicians, is remembered on November 22 (New and Traditional). She, her husband, and her brother-in-law were all martyred. Her body is incorrupt. Read more about her HERE. 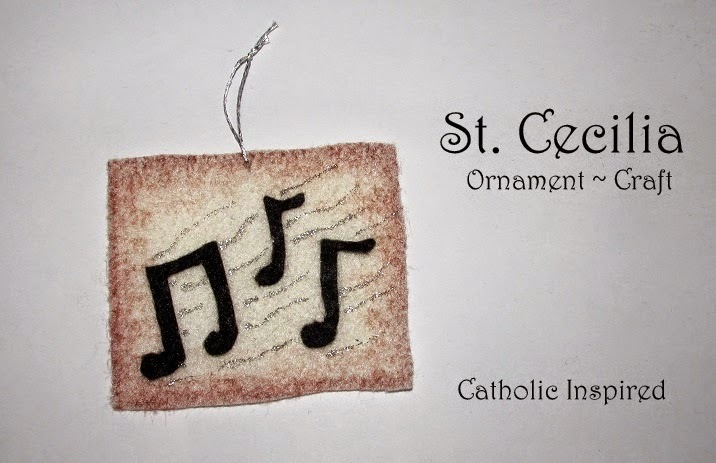 To create this ornament you will need"
Cut out a few music symbols and a square piece of white/off-white felt. Use the brown marker to add a antique look to the white background. 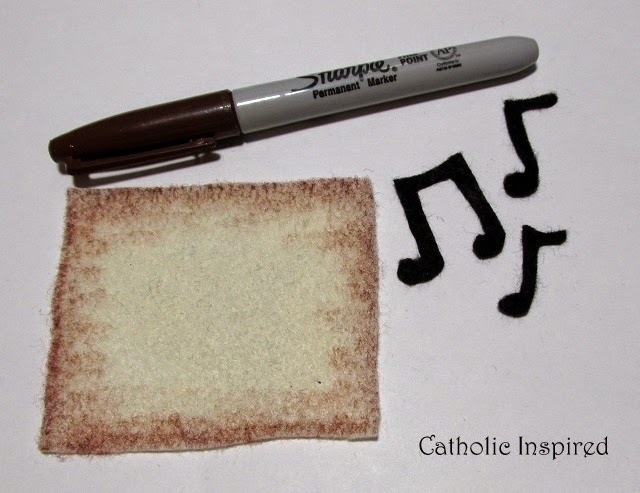 Then glue on the notes. 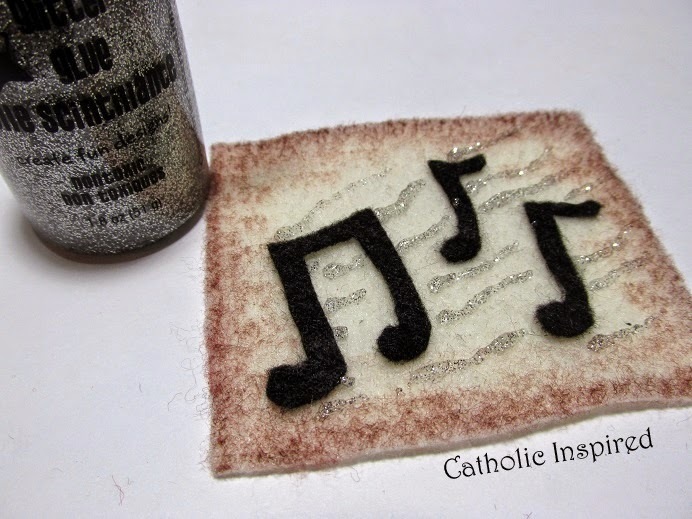 Use the silver glitter glue to add some sparkly lines behind and/or around the music notes. Allow that to dry and then add a threaded loop to the top so it can be hung up.